There is no better way to start the 2019 cycling season than on one of our 4 day cycling masterclasses, being held in Javea, on the Spanish Costa Brava. One of the favourite spots for European teams to train with 18 out of the top 20 pro teams choosing this area to train. We are holding one camps just after easter to give a solid block for all riders keen to be in tip top shape at the start of summer. 4 day riding block specially designed to build your fitness as well as develop your on the bike skills – on Europes best training roads. 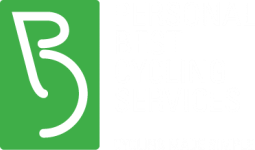 The daily rides will really help you get fit for the cycling season whilst you also learn skills and techniques that will make your cycling more enjoyable and the 4 star accommodation will really help you recover and relax when not on the bike. Over the course of the 4 days riding, you will develop your cycling skills and confidence as you ride over some great roads with riders of similar abilities and get expert advice and feedback. Over the years, we have seen many riders benefit from these training camps. Many attendees have never ridden in a group or even climbed and descended long hills. We will work with you to improve your skills and give you the confidence to improve. Skills such as riding in a group or riding through and off in a pace line are often ignored by riders of all abilities and experience. Simple things like knowing which way to change in a crosswind and how to do a turn will make you more efficient at riding and enable you to perform better at the same fitness level! Combine the small gains you make from improving your technique with the fitness gains you will make from a solid training block and you will come away from the camp fitter and smarter. After a healthy breakfast, we assemble outside the hotel and will split into groups of around 10 riders. We usually vary the riders between hilly, flat and rolling and will concentrate on relevant skills on each type of ride. Our location has a great variety of rides to choose from, long steady climbs as well as short, sharp ones, rolling roads and flat, windy rides. Riders will get general instruction and advice on the rides as well as feedback after them. We won’t overload you with jargon, you will get plain and simple advice and feedback that will help you improve. Rides will usually have a lunch stop and will often stop at a beachside bar for a drink at the end of the ride. A healthy evening meal ends the day where you will get the chance to mix with other riders and discuss your rides with our us. Cost for the camp is £750 and includes transfers from Alicante airport, 4 star half board accommodation and the training rides. A single room option is available for £875. Extra days are also available on request. Numbers will be limited so book early! Read one of last years participants account of the training camp from Cycling Plus magazine.